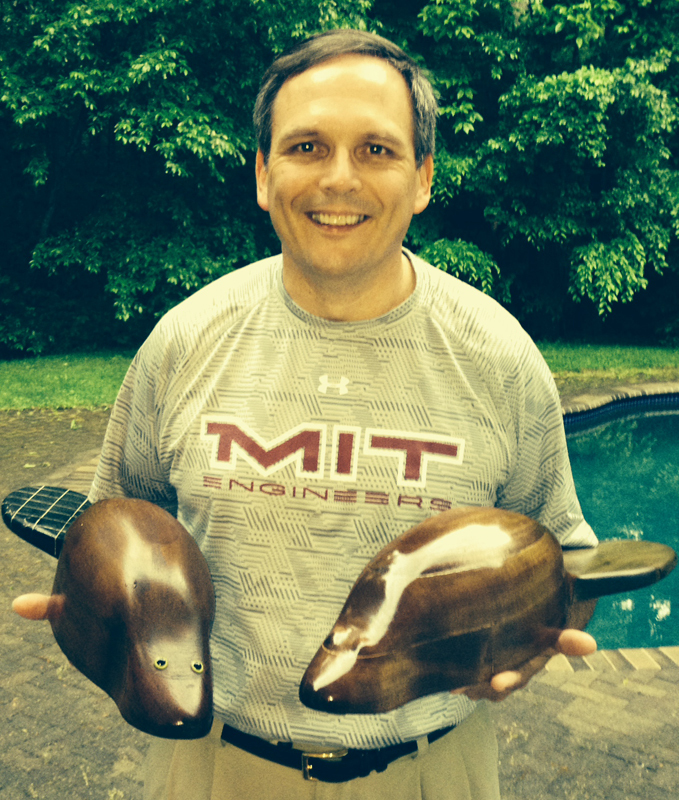 This morning, Tim Wilczynski graduated from MIT, and I have it on good authority that his dad, Vince Wilczynski, “Dean Vince” of the Yale School of Engineering, handed him a beautiful family heirloom—a wooden beaver lovingly carved by a father for his son. It’s not the same hand-carved wooden beaver Tim’s grandfather had presented to Vince upon his graduation a few decades ago, but rather a very close replica of the original, a replica that got Dean Vince to push the tools of Yale’s Center for Engineering Innovation and Design (CEID) to the limit. It’s such a touching story, and Vince sent us pictures to show us how it all came to be. First, here’s his description of what motivated him, and how he realized his ambitious idea. The short story is that my father hand carved the 24x5x5-inch beaver as a gift when I graduated from MIT in 1987. The Beaver is MIT’s mascot as nature’s engineer (and one that does its best work at night). I wanted to duplicate the piece for our son Tim’s graduation on Friday, so I digitized the original on our ShopBot, smoothed the model in SolidWorks (my youngest son helped here), imported the STL file into the ShopBot and cut out a mini-prototype, then a 1/3 scale prototype, then the full size Beaver. 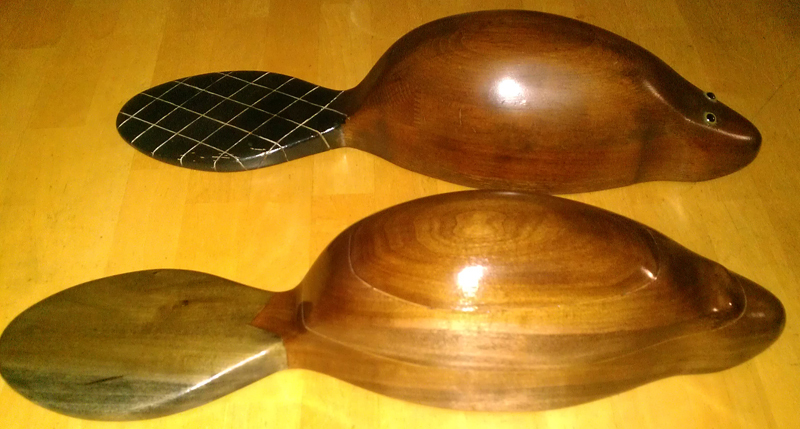 Some assembly of the layers and sanding prepared the piece for staining. It is an exact replica of a handmade piece 27 years ago – with the chance now to make many other copies thanks to technology. It was clear that Dean Vince has a great deal of love and respect for both his father and his son. I cannot imagine how many hours he poured into his project. He knew going into it that he didn’t have the woodworking skills his dad had had, but as an engineer, he knew he had a solution in the plentiful tools around him at the CEID! “From generation to generation,” as Dean Vince put it, “from hobbyist craftsman to technology-aided maker”, these men “pass on a tradition of handmade to mind-made/machine-made piece within three decades”. Who knows what tools Tim will use in 2041 or so to make the next beaver in this family?